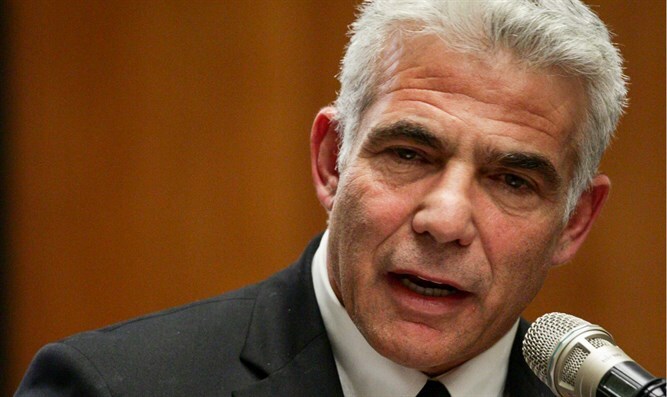 Yesh Atid Chairman supports operation against northern border attack tunnels, but protests 'abandonment of south residents before Hamas'. Yesh Atid Chairman Knesset Member Yair Lapid this evening discussed IDF activity in the north and criticized the cessation of activity in Gaza and "abandonment" of southern residents. "The operation in the north was presented to the intelligence subcommittee at the preparatory stage; not all the details can be exposed, but it is correct, it's justified, it is deserved. The residents of the north deserve full protection, and it's better that Hezbollah not try us," Lapid said. At the same time, he argues, this does not justify laxity on the southern border. "At the same time, there's no more complex security reality than there was a year, two, or three years ago, and certainly there's no justification for abandoning the residents of the south in the face of Hamas."